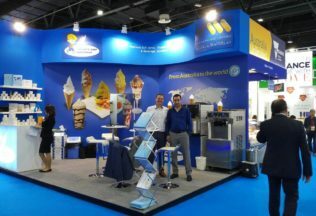 Queensland-based soft serve ice cream producer, Frosty Boy, says its venture into the Middle East food industry is off to a good start. In 2016, Frosty Boy signalled its intention to enter the Middle East along with other new international markets. An update on the company’s move into the Middle East provides some good lessons for other Australian food businesses looking to export or establish overseas. Several months on from the start of its venture, Frosty Boy General Manager of Sales and Marketing, Felipe Demartini, said the company has already partnered with the Vending Machine Company who are making deals to secure its product with major companies across Saudi Arabia. “It is the perfect market for us to succeed – the food business is booming” said Demartini about the Middle East. “In western markets people usually spend their money on various luxuries such as expensive clothing or experiences, but here, the focus is on food,” he said. Demartini said it is important that Frosty Boy has knowledge of each country’s taste preferences before setting up business. “The food market trends in the Middle East lean towards more decadent, sweet flavours and the frappes are popular, including White Mocha, Toffee and Strawberry,” he said. Frosty Boy is currently attending the world’s largest annual food and beverage trade show, Gulfood 2017, at the Dubai World Trade Centre this week. Brumby’s Bakery is offering five new gourmet Hot Cross Bun varieties this Easter.